Here's one of my Mandala's for your use, either to set as desktop background or print out. I love creating these with photos I've taken. This was a Jasmine flower from my wonderful plant. "A traditional Asian belief is that jasmine penetrates the soul and opens up emotions." (right click on the image to download). You can see more from my collection in my Creations by Moonlight Shop above. Sign up for all of my Musings...and receive a FREE download of my "Stone Meanings" mini ebook, a collection of the most used stones in my jewelry designs. Enjoy looking up your favorite stones and reading my collection of interpretations. 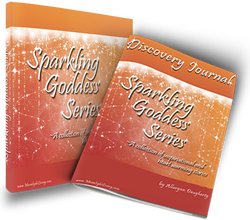 Don't forget you will also receive a FREE copy of my "Sparkling Goddess Series" eBook and the Discovery Journal, a collection of inspirational and heart warming stories and the ARTsignments™ that follow will have you digging deep and finding out what living a Vibrant Juicy life means to you! You will also enjoy my occasional Musings Newsletter with other offerings like these wonderful treasures..
​ -:¦:- Discounts and Specials only for Moonlight Musing list members. -:¦:- Fun and Inspiring Musings about Goddesses, stones, art and my life journey. -:¦:- Other blissful and sparkly offerings.